I am sure you never doubted that Yorkshire has some of the most scenic railway settings in Europe. Here is just a selection of some old but still working railways that arrange journeys into a steam driven past. Ribblehead viaduct on the scenic Settle-Carlisle line. Ribblehead viaduct was built in 1870-74 and contributed to the Settle-Carlisle line becoming one of most expensive lines in the UK. 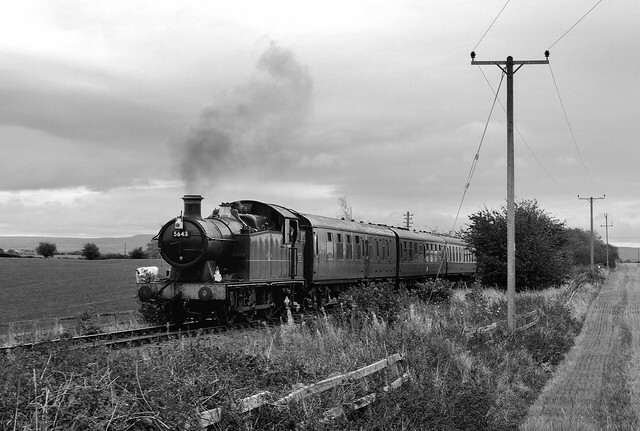 The rural line was threatened with closure during the 1960s and 1980s, but, with an active campaign it was saved. Crossing Ribblehead Viaduct, with Ingleborough in the background. 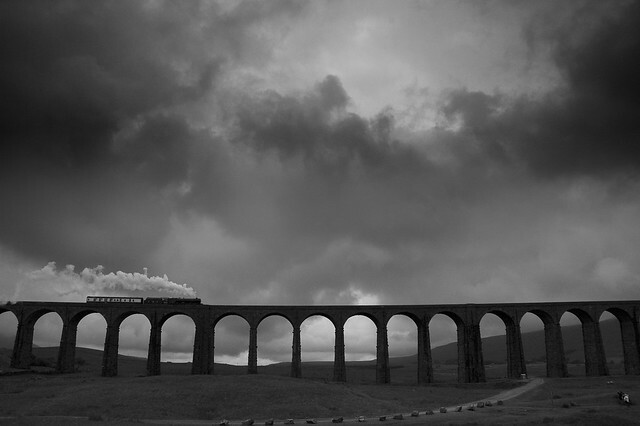 Another great shot of Ribblehead by ahisgett, on Flickr. 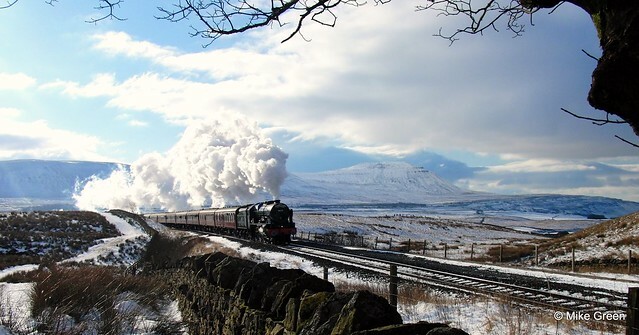 It is not just Ribblehead viaduct, which is worth seeing on the Settle-Carlisle line. The whole route offers some great views. This is from the railway bridge looking south towards Dent station. 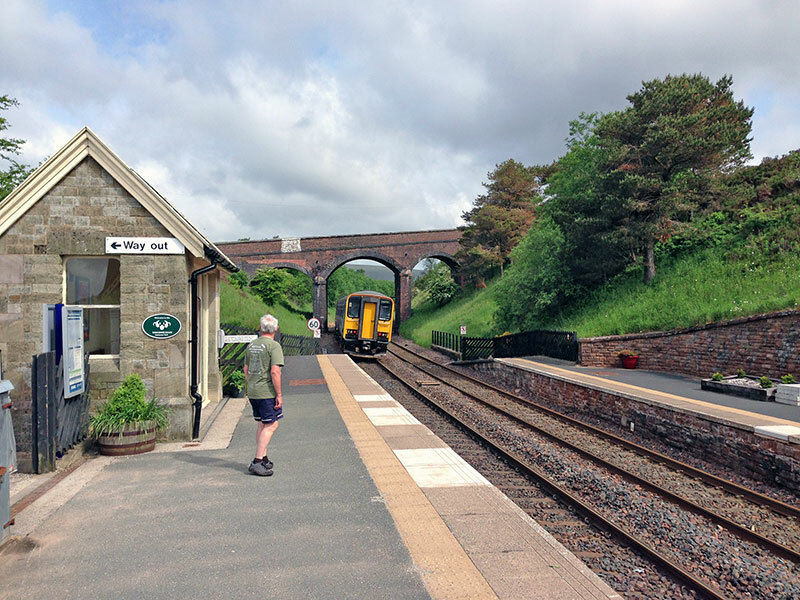 Dent station is the highest mainline station at 1,150 feet above sea level. 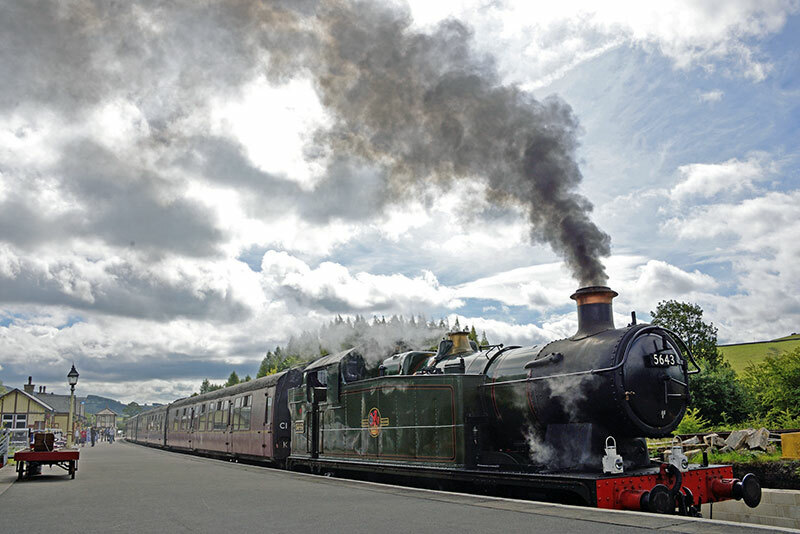 The Embsay Bolton Abbey is a preserved heritage railway in the Yorkshire Dales. 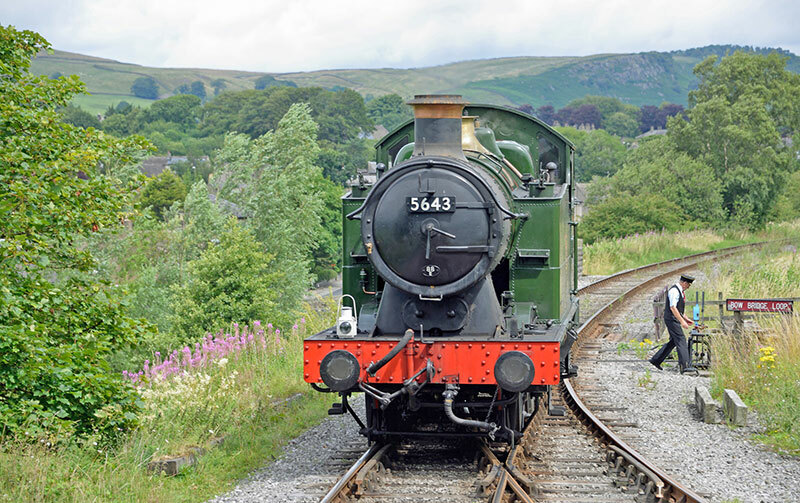 It used to be part of a line which ran from Ilkley to Skipton, with an offshoot towards Grassington. These days, it is just between Bolton Abbey and Embsay. 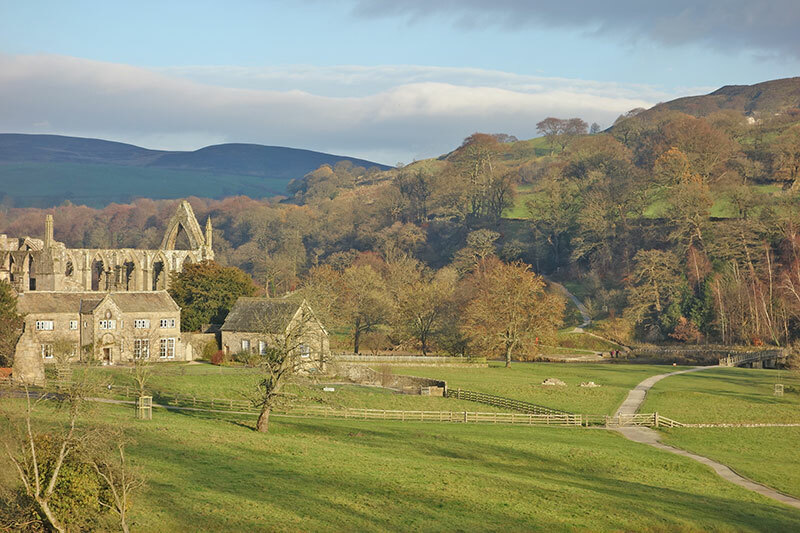 Bolton Abbey is actually over a mile from the railway station, but there are some great views for those who walk down to the river. 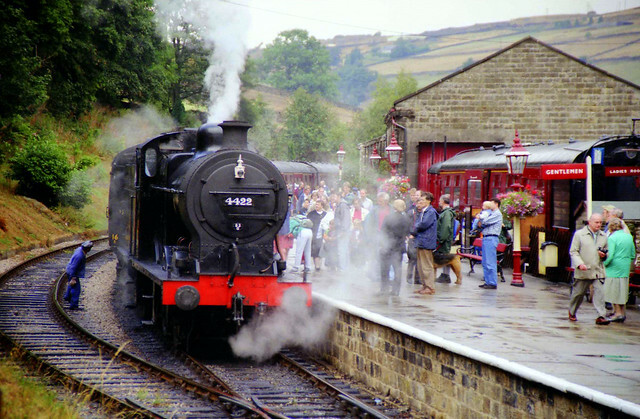 The Keighley and Worth Valley railway has featured in many films, including the Railway children. 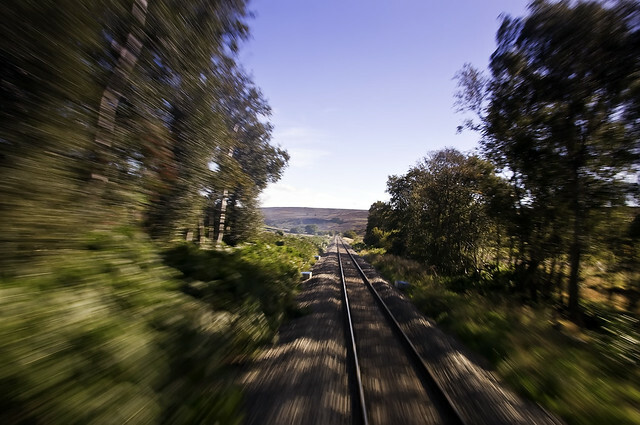 The Wensleydale Railway runs 22 miles from Northallerton West station (close to Northallerton on East Coast main line) to Redmire. 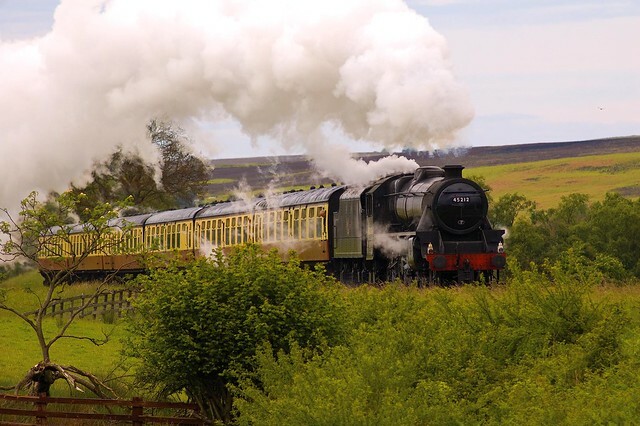 It passes through Bedale and Leyburn. 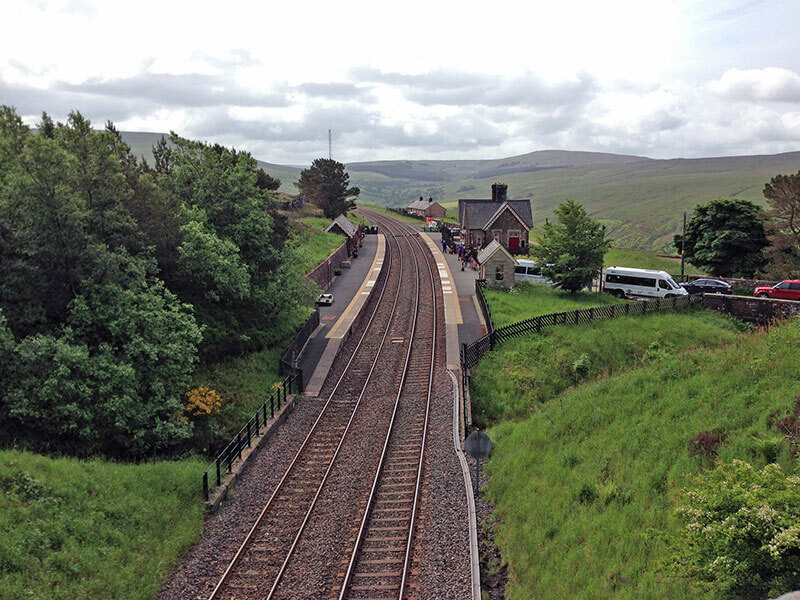 It use to run all the way to Hawes and join up with the Settle Carlisle line, but unfortunately the track has been lifted at this western side. Volunteers maintain the railway line between Redmire and Northallerton. 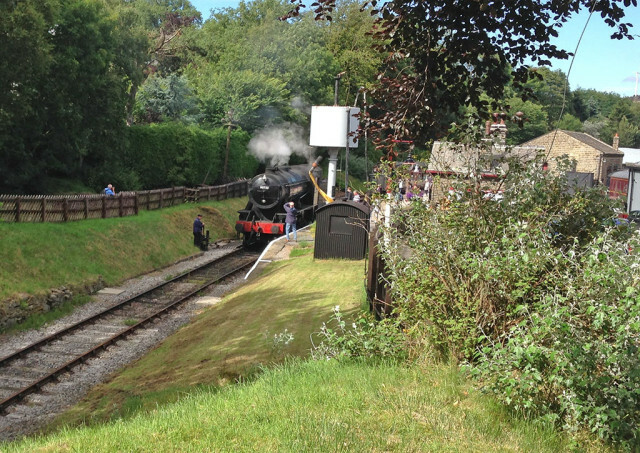 Wensleydale Railway at Redmire Station. First built in 1836 as the Whitby and Pickering Railway. 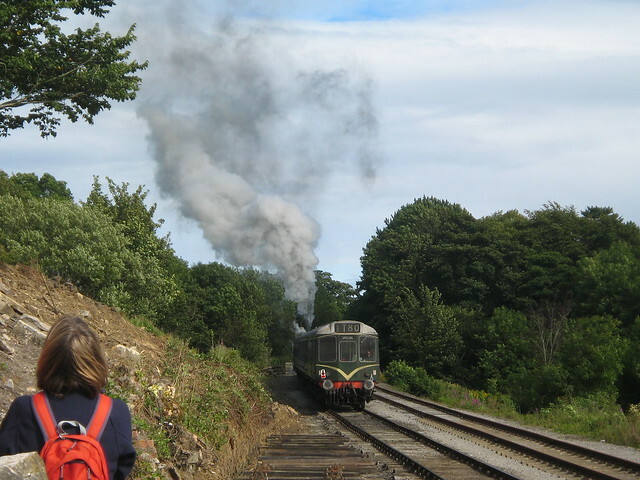 The North York Moors railway is maintained as a heritage railway, offering steam engine services between Pickering and Whitby. A bit of an unexpected choice. I took a train from Leeds to Bradford Interchange. 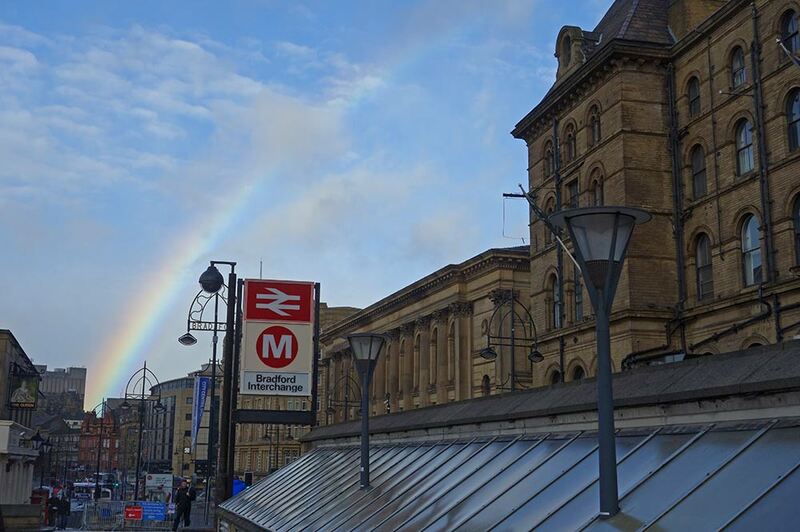 You certainly see a more urban environment than some of these lines, but this photo reminded me, even at Bradford Interchange, you can get a good view.